It’s hard to imagine that WCF is celebrating its 15th anniversary. I recall my initial interview in 2000 with a panel of six company representatives where I was asked why I felt qualified to lead the organization and what I knew about the cocoa sector. At the time, most of the concern was “how to bring better science into the field” in order to control fungal diseases in Latin America. There were only a handful of companies actively implementing farmer training programs, while important topics such as land tenure, climate change, certification, child labor, farm safety, crop diversification, genome sequencing, and even community development, were not part of the industry vocabulary. Today more than 115 companies have joined WCF in managing farmer outreach programs in Latin America, Southeast Asia and West Africa. Cocoa producing governments are working closer with WCF members to leverage their impact in cocoa growing communities. Development partners such as the Bill & Melinda Gates Foundation, U.S. Agency for International Development, U.S. Department of Agriculture, Walmart Foundation, World Bank, GIZ, IDH, MCC, IFC and many others recognize the strength of working with the private sector in order to achieve more sustainable and lasting impact. Civil society partners have helped us to innovate and catalyze our work in cocoa producing countries. And the steady, important applied research WCF is funding with partners has yielded cocoa plants which are more tolerant and resistant to the fungal and pest disease which has plagued cocoa farming for years. Despite these achievements, the advancements we have made are meaningless if cocoa farming communities are not prospering. We see examples of success in West Africa, Latin America and Southeast Asia, but the scale of our ambition has not yet been realized. We need to challenge ourselves and our stakeholders to bring new innovative ideas on labor saving technologies, input delivery systems, and transparent and efficient marketing systems that can bring better win-wins for governments, the private sector and, most importantly, cocoa farmers in the tropics. Through CocoaAction, which was initiated last year, we hope to demonstrate truly sustainable and equitable growth in the sector, in order to meet the increasing demand for chocolate and cocoa products over the next decade and beyond. We hope you will join us in Washington on June 30-July 1 for the next WCF Partnership Meeting where we will explore these important topics related to the sustainability of the cocoa sector. Changes in climate are threatening cocoa production and farmer livelihoods around the world. Recent studies show that land suitable for cocoa production, such as in Ghana and Côte d’Ivoire, will decrease significantly in the near future as a result of climate change. Fluctuating rain and temperature changes will increase the challenges that cocoa farmers face as longer or more intense dry seasons may affect drought-susceptible cocoa. WCF is addressing this challenge by mainstreaming climate smart cocoa – or cocoa production better adapted to a changing climate. 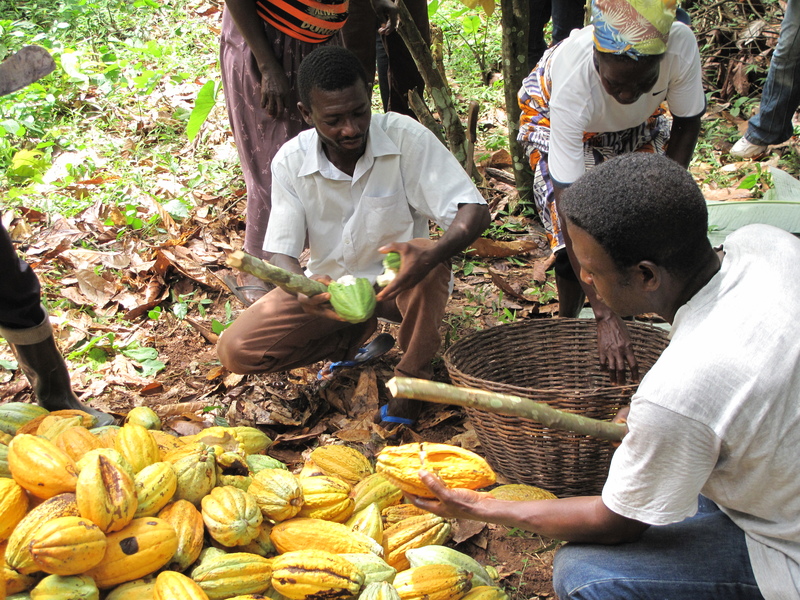 To gain knowledge on climate change’s impacts on cocoa and promising adaptation and mitigation strategies, WCF is co-sponsoring research on this topic by four George Washington University (GWU) graduate students. Their work explores the impact climate change has on cocoa growing regions and will develop recommendations informing future program development. 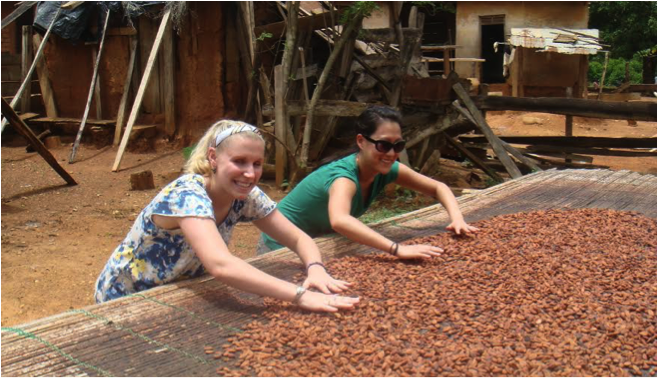 As part of their research, the students recently traveled to Ghana, the world’s second largest cocoa producer, and Costa Rica, a smaller producer, to compare findings from different contexts and explore best practices. 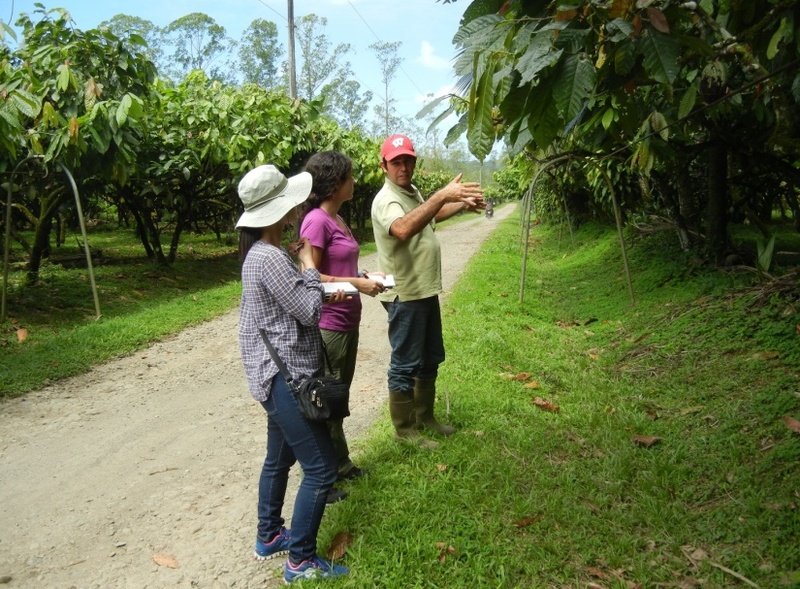 The research team gained local insights from cocoa farmers, research institutes, NGOs, government organizations, and private sector stakeholders. In both countries, they found that the unpredictability of rainfall and less distinction between seasons is affecting farming decisions. Stronger heat often dehydrated young trees and weather variability made it more difficult for farmers to deal with pests and diseases, leading to decreased productivity. One farmer in Costa Rica explained “Summer became longer and it decreased yield. 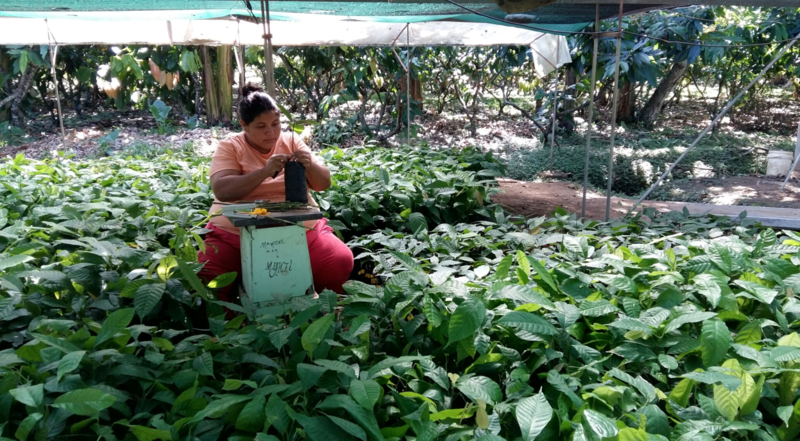 Climate change put more stress on trees and the trees were less productive.” To address this, many Costa Rican farmers are planting hybrid cocoa varieties which are more tolerant to drought and pests and disease. 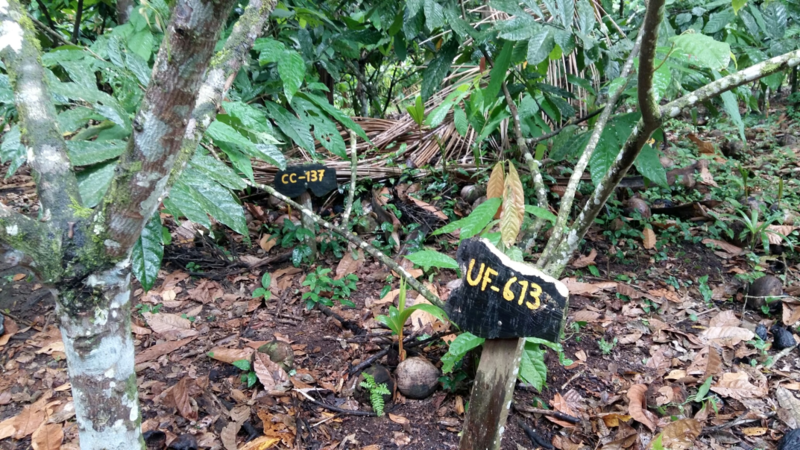 WCF’s Cocoa Livelihoods Program is teaching farmers to intercrop their cocoa seedlings with shade trees, such as plantain and gliricidia, preventing the dehydration of young cocoa trees. 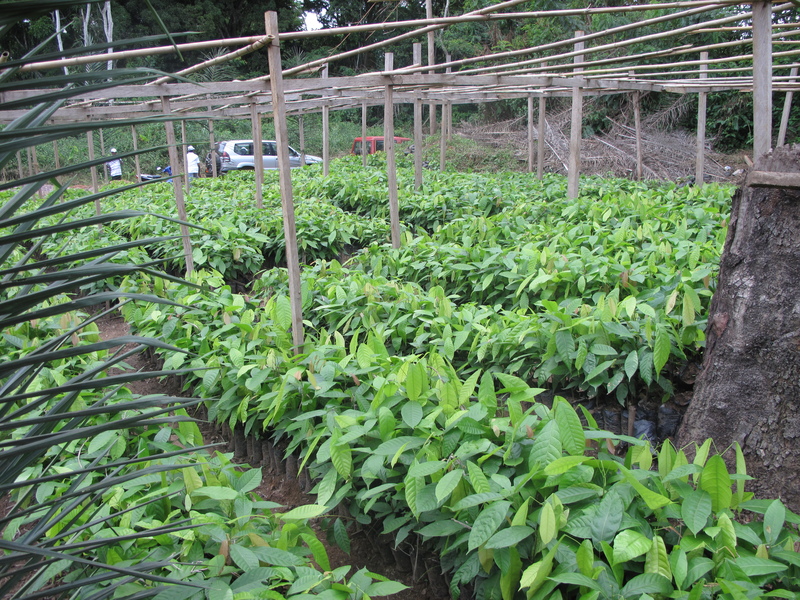 In addition, under WCF’s CocoaAction strategy, WCF and partnership will improve the availability of improved planting material for farmers in both Ghana and Côte d’Ivoire. The GWU team will further investigate how vulnerability to climate change and adaptation capacities vary by context. Encourage the spirit of national service among all segments of Ghanaian society in the effort of nation-building through active participation. Undertake projects designed to combat hunger, illiteracy, disease and unemployment in Ghana. Help provide essential services and amenities, particularly in towns and villages of the rural areas of Ghana. Develop skilled manpower through practical training. Promote national unity and strengthen the bonds of common citizenship among Ghanaians. As a supporter of the initiative, WCF hosts graduates in its Accra office for a yearlong service. 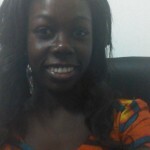 Adwoa Offobea Owusu-Manu was posted to WCF-Accra in September 2013 as a recent graduate in Business Administration from the Ashesi University. Adwoa provided administrative support and assisted with finance and administrative functions and meetings management. 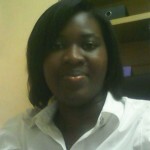 Adwoa plans to obtain a master’s degree in Supply Chain Management after WCF. 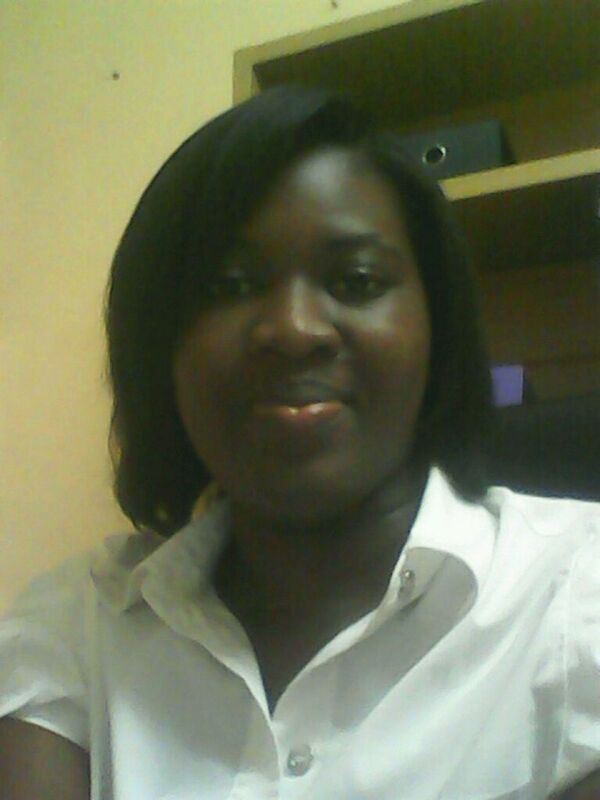 This year, Rachel Offeibea Amaning is providing administrative support and assists in managing and reporting on financial activities in close collaboration with WCF finance team. 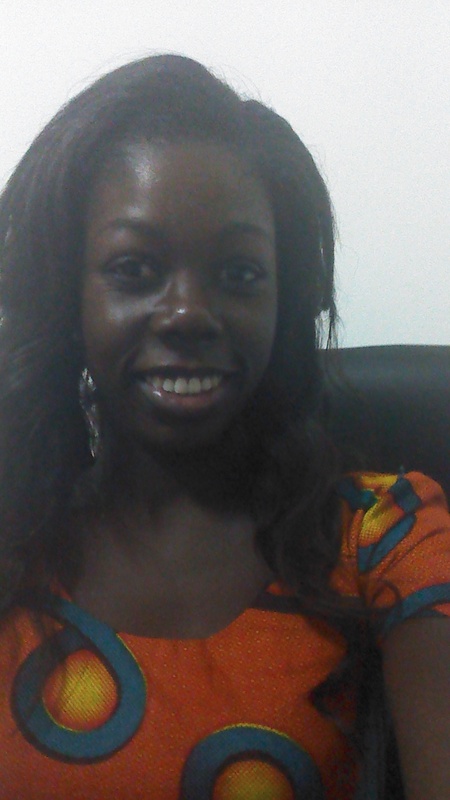 At WCF she hopes to acquire knowledge of the cocoa sector and relevant skills to work in non-profit organizations. Rachel plans to acquire a Master’s degree in Development Studies and become a management professional and member of the Chartered Institute of Management Accountants (CIMA). The graduates’ placement at WCF gives them an opportunity to understand the role of cocoa in the Ghanaian economy and the importance of sustainability. WCF’s participation in the national program demonstrates expertise in building public and private partnerships, as well as shows WCF’s inclination to participate in nation building. Access to credit is an important way to make sure both men and women in cocoa communities can meet needs when income may not be steady. 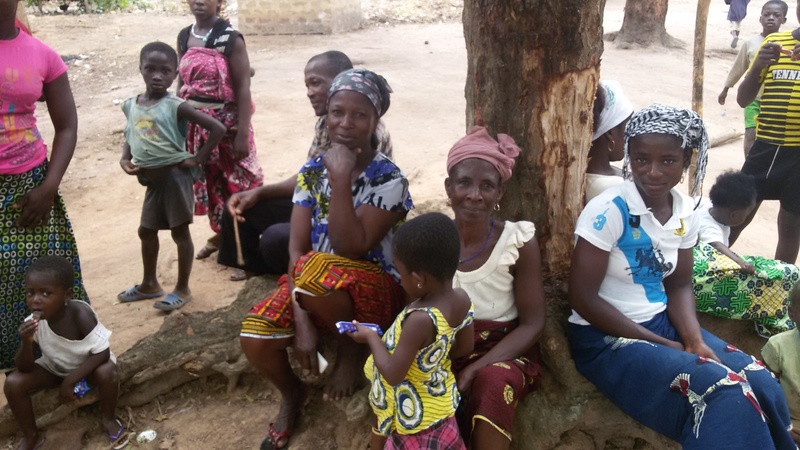 Working together with CARE in Côte d’Ivoire, WCF member company Cargill introduced a Village Savings and Loan program targeting women as central community members to boost access to credit, create income-generating opportunities and foster a community support network. 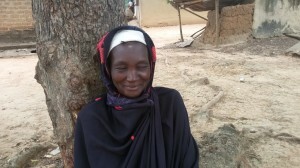 Véronique Diaro from Yaobabikro, Côte d’Ivoire, has joined her village’s savings group. She contributes 100 CFA (about 15 US cents) per week, and can access small loans with competitive interest rates through her group’s pooled savings. Many women in Véronique’s community struggled to meet unexpected expenses. While food crops such as maize and groundnuts provide her with both food and income, Véronique’s husband relies on cocoa as his main source of income. However, with many competing demands on her and her husband’s income, Véronique’s household often faced difficulties when the crops they grew were not in season. 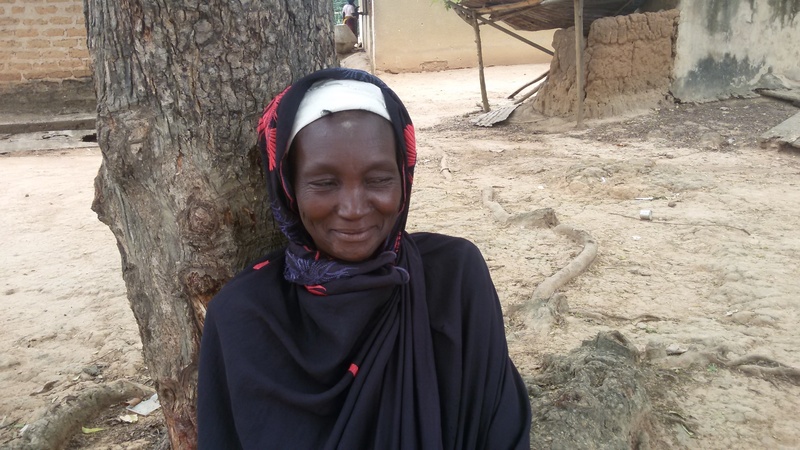 “When the money from cocoa would run out, things would get very difficult because my husband could not support me with household expenses,” she explains. “We could not pay for some of the things we needed at certain times of the year.” Recently, Véronique took out a loan when her child became ill, allowing her to access quality health care she otherwise could not have. Cargill and CARE’s Village Savings and Loans program is also providing women with access to income-generating opportunities. Diara Worago, from Emanzoukro in Eastern Côte d’Ivoire, took out a loan to increase her investments in her maize production. With the increased proceeds from the harvest, she was able to pay her loan back in full, as well as improve her maize productivity in the long term. Through access to micro-credit using community-based resources, Cargill and CARE’s program is improving cocoa households’ resilience and income-earning potential, particularly targeting women as central to their community’s well-being. WCF’s African Cocoa Initiative (ACI) is supporting sustainable productivity growth and improved food security in cocoa communities in West and Central Africa. WCF/ACI is a public-private partnership, bringing together WCF, cocoa industry members, the Sustainable Trade Initiative (IDH) and U.S. Agency for International Development through its Global Development Alliance. The program is carried out in concert with key government institutions in the four countries of Cameroon, Côte d’Ivoire, Ghana and Nigeria. 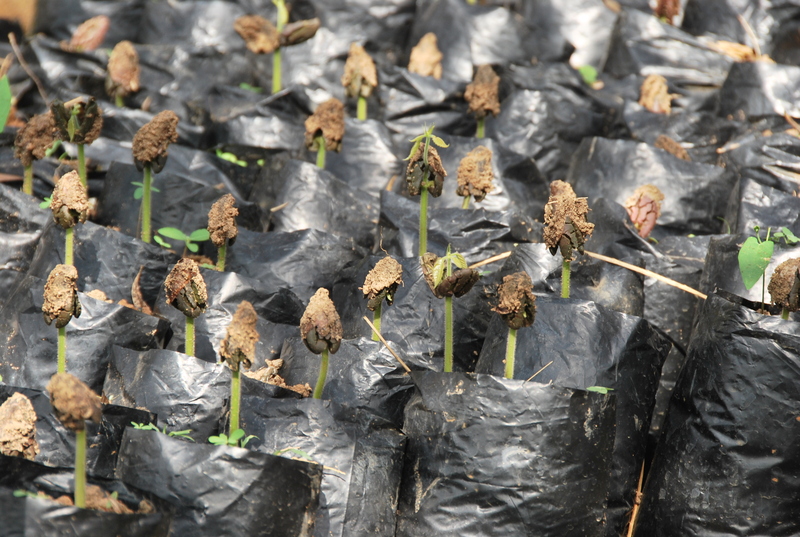 Component 2 of WCF/ACI focuses on improving productivity through better planting material. This is achieved through support to national research stations (NARS) in Cameroon, Côte d’Ivoire, Ghana and Nigeria to undertake genetic fingerprinting of their best performing varieties in existing seed gardens and breeders’ stock. The results of this analysis are used to establish a total of 130 hectares of new seed gardens and 40 hectares of new budwood gardens in the region. Demand for new planting material is increasing due to ageing tree stock in the region in need of replacement. Current average yield across the region is 450 kg/ha which is quite low compared to yields in excess of 1,000 kg/ha that have been recorded in South America. With the results of the genetic analysis, the most suitable high yielding varieties can be identified and reproduced in the new seed gardens for distribution to farmers. While waiting for improved planting material, farmers are seeing the benefits of good agricultural practices and the proper use of agro-chemicals. In 2013 and 2014, WCF/ACI piloted the Spray Service Provider and Input Credit Schemes with CropLife International, which assisted farmers to obtain and apply agro-chemicals to their existing farms. Farmers revealed, in assessment of the outcomes of these two programs, that they are seeing increases in yield after engaging the services of spray service providers. Also supporting the work of the SSPs, WCF/ACI is training extension agents in all four countries. 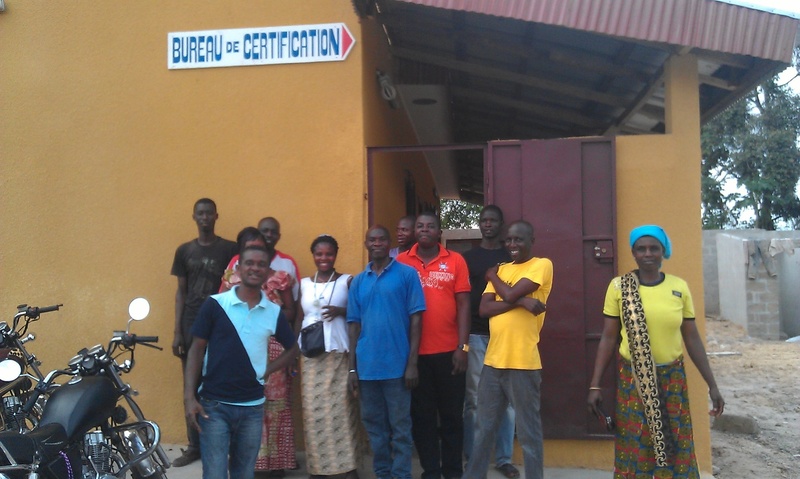 To date, 375 agents have been trained in Ghana, 240 in Côte d’Ivoire and 56 in Nigeria. These extension agents continue to train farmers and pass on the latest information on good agricultural practices for cocoa production. Data gathered for the purpose of calculating the gross margin on cocoa corroborates farmers’ accounts of increasing yields. The data shows that yields have increased from about 450 kg/ha in 2012 to 503 kg/ha in 2013 and 637 ka/ha in 2014. This compares to the baseline yield figure of 377 kg/ha recorded in 2011. Even as we wait for the production of first pods from the new seed gardens in 2016/2017 and the subsequent maturation of the trees in 2020, WCF/ACI is providing productivity gains for farmers from their existing farms. During April and May, national committees from cocoa and chocolate-producing countries around the world will be reviewing and commenting on the new voluntary Draft ISO Standard for Sustainable and Traceable Cocoa, scheduled for completion in 2016. WCF is working closely with both CEN and ISO leaders to ensure that the wisdom of our industry members is represented throughout the process of developing the standard. Through the CocoaAction Strategy, WCF members are developing performance requirements for sustainable production and community sustainability initiatives. These newly-proposed industry standards are being actively shared with the ISO committees developing the standard. This standard represents a major step forward for the future of cocoa sustainability, and represents a new precedent being set by the cocoa industry. Many industries currently employ standards that are sanctioned by the International Standards Organization (ISO) – yet other standards typically address issues such as product quality or product safety. CEN is the European Committe for Standardization. No internationally traded agricultural commodity has ever had an ISO standard focused on sustainability. Cocoa will be the first. WCF is working closely with our member companies and partners to help achieve this milestone. The standard has two distinct audiences: farmer organizations and the certification traceability business. For farmer organizations, the standard provides common definitions and performance requirements for their practices to help protect people, planet, and profit. These include requirements for practices that need to be monitored and reported by individual farmer organizations, on their farms and in their local community. The standards also include guidelines for managing farmer organizations – a feature that current certification systems often do not provide. These guidelines for organizational management are intended to help producer organizations manage develop more professional farmers. The organization’s internal management system includes a standardized Farm Development Plan to track inputs, farm development objectives, and investments needed to meet performance requirements. The new standards help ensure that sustainability in cocoa improves by encouraging continuous improvement in all facets of sustainability through performance requirements progressively applied at three level: entry-level, mid, high-bar. Entry-level performance requirements are intended to allow all farmers to work toward meeting the standard. Producer organizations meeting the entry-level requirements could become certified. Yet after a period of time – proposed as 3 years – a more rigorous set of ‘mid-bar’ requirements would be met in order to maintain conformity with the standard. And, after 6 years, continued conformity with the standard would require that a ‘high-bar’, or most rigorous, set of performance requirements be achieved. The ISO standard is not one checklist applied to only the best producers, but a progressive set of requirements that can be used by all in the cocoa industry to develop new business models that bring cocoa revenue to more farmers struggling to improve their practices. This standardized framework for improving sustainable practices can open new doors to certifiers interested in developing new value-add propositions and certifications for farmers working toward sustainability. The 2016 public roll-out of the ISO Standard for Sustainable and Traceable Cocoa will be a significant milestone for all who are working to raise the bar for cocoa sustainability. In 2013 WCF received the Indonesian Cocoa Applied Research & Extension Grant from the Ford Foundation in support of applied research on Indonesian Cocoa to help cocoa-farming families improve farm productivity and cocoa quality. As a result, WCF awarded funding to three separate institutions in Indonesia to support their projects over a three year period. 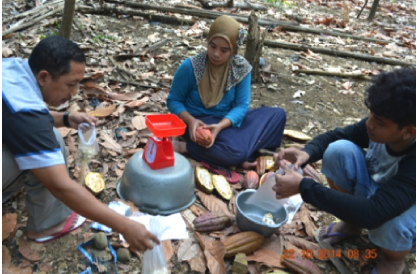 The overall objectives of the grant program is to build the capacity of local institutions to address three challenges facing Indonesian cocoa production: pest and disease management, aging cocoa farms, and product quality. This project is implemented in collaboration with Barry Callebaut. One of the projects, titled “Mature Cocoa Productivity Improvement by Better Pruning & Rehabilitation Practices”, was started by the Indonesian Coffee and Cocoa Research Institute (ICCRI) and focuses on the rehabilitation of older farms through intensification. The location of ICCRI’s project is in the Soppeng area of South Sulawesi in Indonesia. The aim of this project is to increase mature cocoa production through pruning, intensification, compacting, rehabilitation, and replanting. Adi Prawoto is in charge of the implementation, monitoring, and reporting of the various methods in order to identifying the most efficient one. With three farms in total, Pak Adi compares the progress of each farm based on the different techniques, practices, and even soil that he and his team introduce to the farmers. Notably, two of the three farms of ICCRI’s project are owned by women, a rarity in Indonesia, and is an important component for the gender inclusion aspect of the grant requirements outlined in the grant program. Though it is still too early to report on any significant results, the data derived from the reports by Pak Adi states there is encouraging progress for the farms. In the coming months, the focus of ICCRI’s work will concentrate on the maintenance of the three farms. The farmers will compact old plots and plant new ones. Careful attention will be given to the pruning, fertilization, and planting of new clonal seedlings in the replanting plot. On March 23-24, 2015 the Cocoa Research Centre (CRC) at The University of the West Indies hosted its 1st International Fine Cocoa Innovation Centre Conference & Symposium, along with its partners, Newer World, Caribbean Fine Cocoa Forum and Cocoa Industry Board of Jamaica. More than 125 participants attended the event at former cocoa estate Ortinola Great House in St. Joseph, Trinidad. 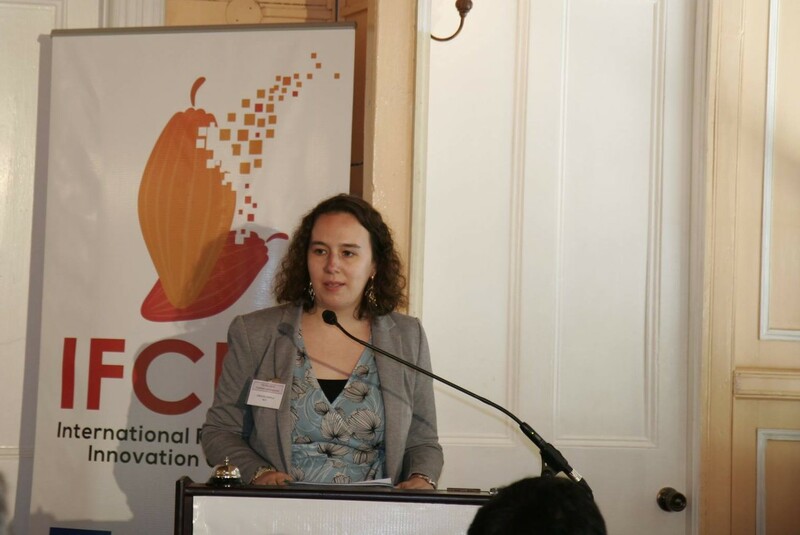 Virginia Sopyla, Associate Director for Southeast Asia, Latin America & Research at WCF, attended the event and spoke about the perspectives on global sustainability issues and the importance of innovation. Other key speakers in the session were: Prof. Clement Sankat, Pro-Vice Chancellor and Principal, University of the West Indies – St Augustine; Prof. Pathmanathan Umaharan, Director Cocoa Research Centre; Ms. Kathrin Renner, Representative of the EU Delegation; and Ms. Audine Mootoo, Director of Research – Central Experiment Station, Research Division, Ministry of Food Production. Day one of the conference and symposium featured presentations on continuing applied research that focuses on creating innovations along the value chain – production, processing, manufacturing and marketing. On the second day, the agenda focused on the fine-flavor cocoa industry and how the innovation Centre can facilitate the development of the industry in the face of new and emerging challenges through not only showcasing innovations, but also through providing support in terms of apprenticeship training and provision of technology and business services. The Centre hopes to become a showpiece to the world by building a bean-to-bar model based on cutting-edge science and technology based on a Triple Helix model built on a strong university, private sector-government partnership approach and incorporating the push-pull strategy for industry development. It will drive productivity improvements on one end while supporting value-added product development and market innovations at the other end. It will also become a model nexus that would involve stakeholder participation be it farmers, researchers, manufacturers, product developers, business persons or chefs. Day one of the conference and symposium featured presentations on continuing applied research that focuses on creating innovations along the value chain – production, processing, manufacturing and marketing. On the second day, the agenda focused on the fine-flavor cocoa industry and how the innovation Centre can facilitate the development of the industry in the face of new and emerging challenges through not only showcasing innovations, but also through providing support with apprenticeship training and provision of technology and business services. The Centre hopes to become a showpiece to the world by building a bean-to-bar model based on cutting-edge science and technology built on a strong university, private sector-government partnership approach and incorporating the push-pull strategy for industry development. It will drive productivity improvements on one end while supporting value-added product development and market innovations at the other end. It will also become a model nexus that would involve stakeholder participation including farmers, researchers, manufacturers, product developers, business persons or chefs. The Centre will build on the comparative advantages of this small Caribbean island in terms of low cost energy, the long legacy of cocoa, the presence of the International cocoa genebank (the largest and most diverse cocoa collection in the world), and as the country held in high esteem as the basis of the world’s fine cocoa industry. The International Fine Cocoa Innovation Centre seeks to become the centrifugal force to attract innovations that happen anywhere along the cocoa value chain anywhere in the world to its shores. Please visit www.ifcic.centre for more information. WCF and Côte d’Ivoire’s Conseil du Café-Cacao announced an agreement to improve cocoa planting material. The agreement is closely aligned with the Ivorian government’s 2QC national cocoa strategy and comes less than a year after WCF announced CocoaAction, the chocolate and cocoa industry’s strategy for sustainability in the cocoa sector. As part of its efforts to improve planting material, WCF also announced its focus on new methods of propagation and addressing cocoa swollen shoot virus. These components are championed by WCF member companies Mars, Incorporated and Nestlé. To support the execution of the planting material strategy, WCF recently employed an Abidjan-based Cocoa Swollen Shoot Virus expert, Dr. Mfegue Crescence Virginie. Cocoa Swollen Shoot Virus is a disease that causes insufficient production of chlorophyll in cocoa trees, eventually resulting in death. Working in close coordination with le Conseil du Café-Cacao, Interprofessional Fund for Agricultural Research and Advisory Services (FIRCA) and the National Center for Agronomic Research (CNRA), Dr. Mfegue will support the identification and propagation of virus-resistant trees and developing in-field tests that allow for early detection of the disease. Selected to participate in the Norman E. Borlaug Cocoa Fellowship program in cooperation with United States Department of Agriculture Foreign Agriculture Service and WCF, Kacou M’Bo of Côte d’Ivoire’s National Center for Agronomic Research is expected to provide research support on drought resistant varieties of cocoa trees. The fellowship provides fellows with skills and knowledge to help their countries become more competitive producers and exporters of cocoa and cocoa products. In support of CocoaAction’s productivity component, WCF also announced the completion of a good agriculture practices guide that includes information on fertilizer use and soil fertility practices in Côte d’Ivoire. The guide, developed in partnership with the national agency supporting rural development (ANADER), Conseil du Café-Cacao, the Dutch Sustainable Trade Initiative (IDH) and WCF’s African Cocoa Initiative, will be used by public and private sector partners for training activities with cocoa farmers. The African Cocoa Initiative is a program supported by WCF member companies and the United States Agency for International Development. WCF welcomes new staff member Crescence Virginie Mfegue (CCSV Program Manager – West Africa), Marie-Claude Zando (Senior Advisor, CocoaAction), Nico Anderson (Communications & Outreach Intern), and Flor Gomez (CLP Intern) to the team. We extend our best wishes to departing staff Alisha Rodrigues, Bart Van der Linden and Stephen Farone.